If finishing the bottle isn't a problem, try our Liberty MAGNUM! 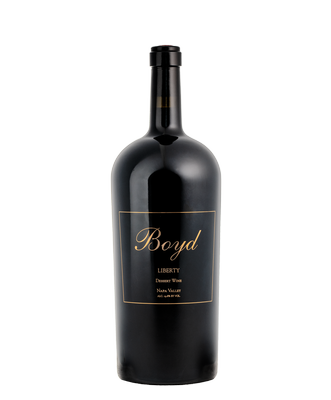 Named after the traditional Portuguese poem chanted during Port treading, Liberty (Libertad) is a non-vintage Port style wine that is rich and sweet. The Liberty is great around the fire or for after-glow with a cigar. Liberty pairs wonderfully with richly flavored cheeses (such as blue cheese or our favorite Cougar Gold made by the students at Washington State University), chocolate and caramel desserts, salted and smoked nuts and even sweet-smoky meats.